San Francisco 49ers are one of the professional football teams of the west coast. 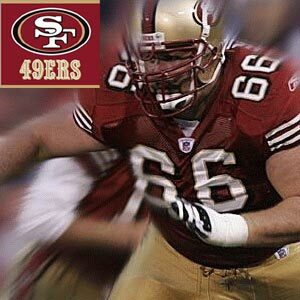 Started in 1946, San Francisco 49ers have matured both nationally and locally. The team takes its name from the surge of gold miners of San Francisco area. SFO 49ers have many local and national titles under their belt. Their best years were the early 1970s when the 49ers won 3 straight NFC Western Division titles. San Francisco 49ers had the privilege of signing Frankie Alberta and Norm Standlee of Stanford; Alyn Beals, Eddie Forrest, Ken Casanega and Visco Grgich of Santa Clara for their inaugural match. Through the years, the San Francisco 49ers have seen many legends in football like Y.A. Tittle, Joe Perry, John Henry Johnson, Hugh MvElhenny, John Brodie and Jimmy Johnson. In 1971, the SFO 49ers shifted to Candlestick Park from Kezar stadium. The stadium was named after a poll among the fans. It bears its name from Candlestick Point, where the stadium is located. The stadium currently accommodates 70,207 people. The late 70's saw the team being purchased by Ohio businessman Eddie DeBartolo Jr. and the subsequent hiring of Stanford head coach Bill Walsh. They both played a major role in the success of the team. San Francisco 49 is the only NFL team to produce 10-or-more wins for 16 consecutive seasons (1983 - 98). Since 1981, SFO 49ers have won 13 division titles, five conference championships and five Super Bowl Championships. They have also claimed the World title in 1981 (Super Bowl XVI), '84 (Super Bowl XIX), '88 (Super Bowl XXIII), '89 (Super Bowl XXIV) and '94 (Super Bowl XXIX).